Homelessness and social action charity Caritas Anchor House has finished the construction of its 25 move-on flats for previously homeless people. Caritas Anchor House is a residential and life skills centre for single homeless adults, in the London Borough of Newham, which provides a home and support to up to 250 homeless people each year. By providing education, guidance and personal rehabilitation, they work to ensure each individual grows in confidence and gains vital life skills to ensure they do not become homeless again. As the move from the supportive environment of Caritas Anchor House to independent living can sometimes be difficult, the flats will operate as a halfway point between the two states, helping to ensure that residents are able to sustain their independence long term. 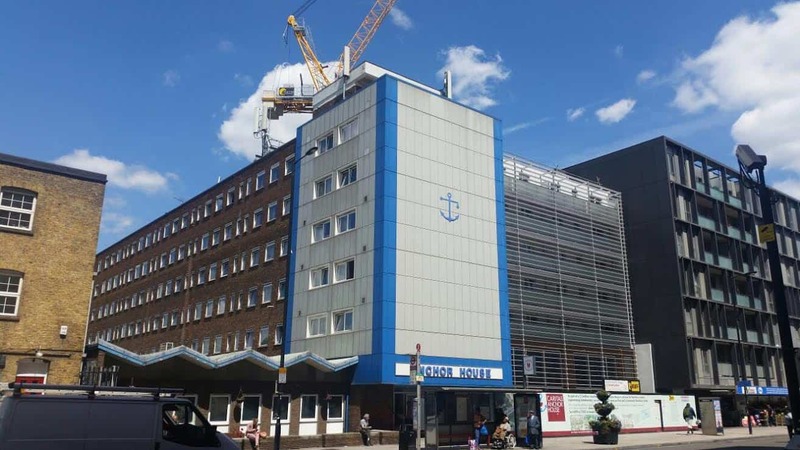 The flats are adjacent to Caritas Anchor House, and whilst staying in them, residents will be responsible for all aspects of their everyday lives, such as money management, cooking and cleaning. However, they can continue to access the support services of Caritas Anchor House, if needed. Each of the 25 studio flats are equipped with an ensuite bathroom, integrated kitchen, a dining table and chairs, a television and armchair, as well as a bed and wardrobe. The move-on flats form part of the charity’s wider £15.3million Home and Hope Appeal, which once completed will transform the organisation and leave a legacy of hope in Newham. The appeal was launched in 2011, and has also seen the refurbishment of their existing 115 residential rooms. The final phase of the appeal is the construction of training and education rooms, as well as health and wellbeing facilities. Caritas Anchor House is the largest adult single homeless provider in Newham, a borough where one in every 27 people are homeless – the second highest in the country. They work with vulnerable groups, including those affected by homelessness, unemployment, mental health, substance misuse, domestic abuse and offending. In the year to March 2016 they offered a home to 213 people, supported 66 into independent living and 38 into employment. Previous PostCharity fundraising in 2017, whatever next?